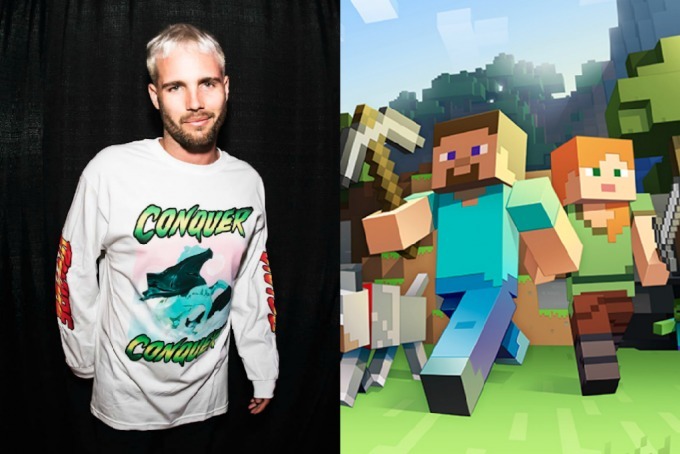 Two months after the massive success of Marshmello’s in-game Fortniteconcert, a slew of musicians are gathering together to put on an entire in-game festival – this time in Minecraft. Presented by URL Events, the festival will feature talent from all around the globe – as well as a good number of Australian artists. Heimanu is scheduled to perform on Pixel Festival’s first day, while the second day is packed full of Aussie talent such as What So Not, Slumberjack, Anna Lunoe, Blanke, Yvng Jalapeño and Made By Tsuki. Incredibly popular Fortnite Twitch streamer Ninja will also be performing at the festival. No word yet as to whether he’ll try to make the crowd floss. Admission to Pixel Festival is free, but you can buy a VIP pass for US$5 or an artist pass for US$25. However, exactly what these passes get you is unclear, as Pixel Festival’s website is currently down. To attend the festival, you’ll need a copy of Minecraft. Once you’ve booted it up, select ‘Multiplayer’, click ‘Add Server’, then type in ‘MC.URL.EVENTS’. This isn’t the first time a live performance has been held in Minecraft. Back in 2016, Norway tech conference The Gathering held an event in which artists AlunaGeorge, Broiler and Lemaitre performed in real life, while volunteers copied their movements with in-game avatars. In September 2018, performers including ANAMANAGUCHI and Electric Mantis took to the virtual Minecraft stage at Coalchella. Even more recently, Fire Festival (not to be confused with Fyre Festival) was held this January in Minecraft, featuring performances from artists such ARTY, Ekali, Hudson Mohawke and Luca Lush. However, the incredible success of DJ Marshmello’s Fortnite concert last month has renewed interest in the still relatively experimental format. In a statement to The Verge, Epic Games said that 10.7 million people attended Marshmello’s concert, making it the game’s largest event to date.